He was the son of Mary Elizabeth BERRY and William STANDISH, a Yorkshire born artist who specialised in animal painting - his grandfather John Standish (c.1767-1850) was also an artist. His mother died in 1868 aged 51 years, and in 1880 his father, then aged 65, was sentenced to five years penal servitude for robbery. This seems likely to have been the catalyst for his emigration to New Zealand, as by 1880 Frank Berry Standish was living at "Longbeach" near Ashburton, and the Wakanui Electoral Roll for that year shows his occupation as 'artist'. [S190] Index - GRO and Office of National Statistics, England & Wales Civil Registration Qtrly Indexes, Birth: District of St Luke Chelsea, Vol 1a, p175, 2Q1860, mother's maiden name BERRY. [S968] Website Early NZ Photographers (http://canterburyphotography.blogspot.com.au/2008/08/…) "Standish & Preece pages." George Lyttledyke STANTON was born circa 1841. (birth date based on age at death). [S443] CD - NZ Marriages, CD - NZ Marriages 1836-1956 V2, NZ Registrar's General Folio 359. [S542] Index - New Zealand BDMs online, at http://www.bdmhistoricalrecords.dia.govt.nz/, Marriage Reg. No. 1867/3715 (groom) and 1867/3284 (bride). [S178] Census - 5 Apr 1891, UK census, ED 8 RG12-1688 Folio 8 p10 GSU roll 6096798. [S6] Newspaper - Times of London, Friday, Aug 25, 1922; pg. 1; Issue 43119; col A. [S340] Census - 7 Apr 1861, UK census, ED 5 RG9-188 Folio 21 p46 GSU roll 542588. [S190] Index - GRO and Office of National Statistics, England & Wales Civil Registration Qtrly Indexes, Death: District of Axbridge, Vol 5c p423, 1Q1877. [S502] Index - Victoria BDMs online, at https://online.justice.vic.gov.au/bdm/indexsearch.doj, Marriage Reg. No. 4462/1905. [S284] Index - New South Wales BDMs online, at http://www.bdm.nsw.gov.au, Death Reg. No. 20662/1951. [S502] Index - Victoria BDMs online, at https://online.justice.vic.gov.au/bdm/indexsearch.doj, Birth Reg. No. 20123/1906. [S753] Australian BDM Indexes 1788-1950, at http://www.ancestry.com/, Victorian births, Reg. No. 7632. [S677] Index - England High Court of Justice, England & Wales National Probate Calendar, probate registered in Exeter to Emily Selina Stevens and Alice Mary Stevens, spinsters and Ethel Dorothy Hodgson-Smith. [S190] Index - GRO and Office of National Statistics, England & Wales Civil Registration Qtrly Indexes, Marriage: District of Pembroke, Vol 11a, p1131, 2Q1907. 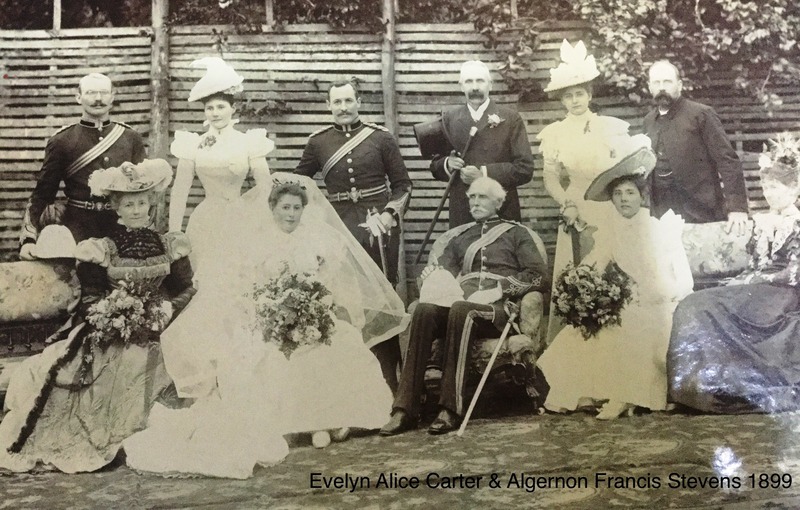 [S530] Find My Past website, at https://www.findmypast.com, Welsh Archive Services / Gwasanaethau Archifau Cymru, Pembrokeshire Marriages And Banns. [S677] Index - England High Court of Justice, England & Wales National Probate Calendar, probate registered in London to The Public Trustee, Annie Elizabeth Stevens (widow) and William Barton Kirby (barrister-at-law). [S190] Index - GRO and Office of National Statistics, England & Wales Civil Registration Qtrly Indexes, Death: District of Gosport, Vol 6b, p437, 1Q1962, aged 86. 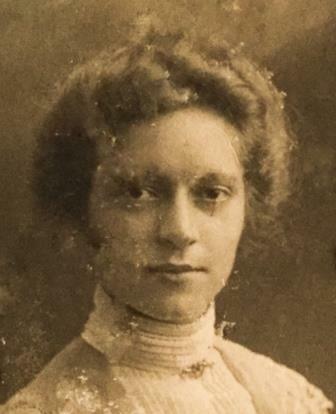 Cecil married Katherine Irene RICHARDS between 1923 and 1927. [S6] Newspaper - Times of London, Monday, Sep 11, 1893; pg. 1; Issue 34053; col A. [S612] GRO Scotland, birth/bapt record, District of Aberdeen (Old Machar), Statutory Births, GRO 168/02 1417. [S965] National Archives - National Archives, USA, Index to Naturalization Petitions for the US District and Circuit Courts, Northern District of Illinois and Immigration and Naturalization Service District 9, 1840-1950 (M1285); Microfilm Serial: M1285; Microfilm Roll: 153. [S247] Government Publication - US SSDI, SSN 320-01-3393 issued in Illinois before 1951. [S190] Index - GRO and Office of National Statistics, England & Wales Civil Registration Qtrly Indexes, Marriage: District of Kensington, Vol 1a, p167, 4Q1892. [S6] Newspaper - Times of London, Friday, Nov 21, 1919; pg. 1; Issue 42263; col A. [S196] Commonwealth War Graves Commission, at http://www.cwgc.org, Grave no. 1857.